I’ve been blessed with good health, a wonderful family and amazing friends. Yet I have watched too many dear friends and family members face cancer, including my mother, aunt, sister and cousins, close friends, acquaintances and co-workers. 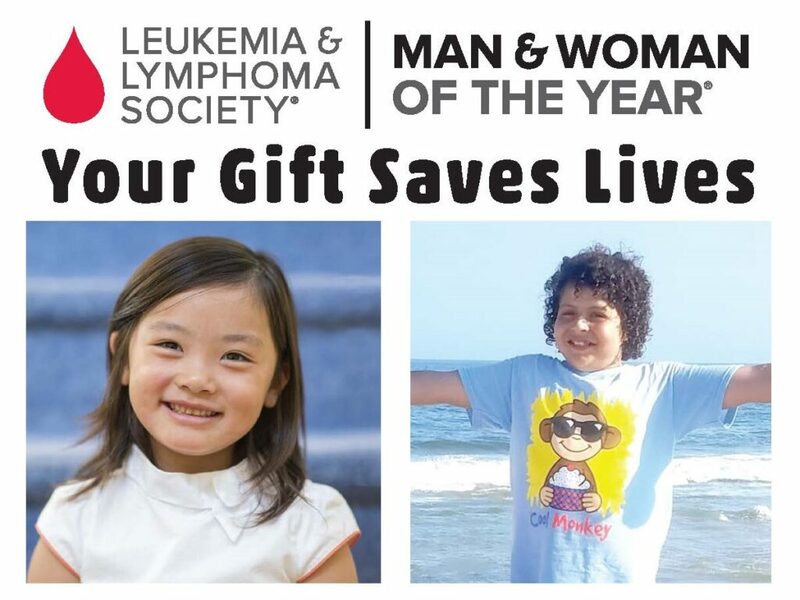 Research Saves Lives…Since 1949, the LLS has invested more than $1.2 billion in groundbreaking research, $46 million in 2018 alone. And the breakthroughs that are made with LLS funding often find applications for other forms of cancer and even other diseases. Progress Means Hope…The overall survival rate for leukemia has quadrupled since 1960, and more than doubled for Hodgkin’s and non-Hodgkin’s lymphoma. Progress has been especially significant for children. Today, the five-year survival rate for non-Hodgkin’s lymphoma for children is 88.7 percent; in the 1970s most children with non-Hodgkin’s lymphoma did not survive five years. These Children Inspire Me…12-year-old Jesse Pallas of Mt. Sinai, diagnosed with acute lymphoblastic leukemia in 2011 and cancer of the central nervous system in 2014, and 5-year-old Morgan Sim of Port Washington, who finished treatment for acute lymphoblastic leukemia in time to start kindergarten this year, are two brave, spunky kids who have been named “Boy & Girl of the Year” by the LSS Long Island Chapter. I’m running this campaign in their honor, so they know they’re not alone in this fight. Please include “Theresa Jacobellis” on the memo line of the check.